Rezzed starts tomorrow, and we’ve got our very own booth this year. 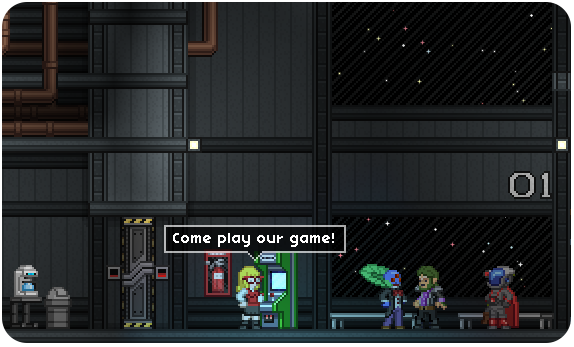 In addition to several PCs running the latest stable build of Starbound, we’ll have a PC dedicated to a handful of the games we’re partnered with. The games will be available at specific times each day. Refer to the schedule linked at the bottom of this post so you don’t miss out on the chance to play your favorite! You can also visit our booth to purchase Starbound t-shirts and posters produced by The Yetee, and if you’re lucky you can even win a shirt of your choice! 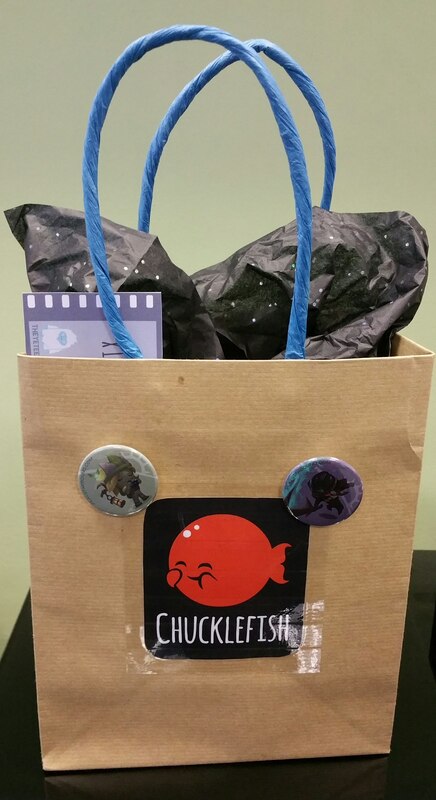 We’ll be holding competitions throughout each day for the chance to win one of these bags full of goodies, so if you’re at Rezzed you’ll want to watch @StarboundGame and @ChucklefishLTD on Twitter for details.